Experts may just have made one of the most astonishing biblical discoveries ever. According to reports, researchers are 99.99 percent certain that they have found the remains of Noah’s ark. 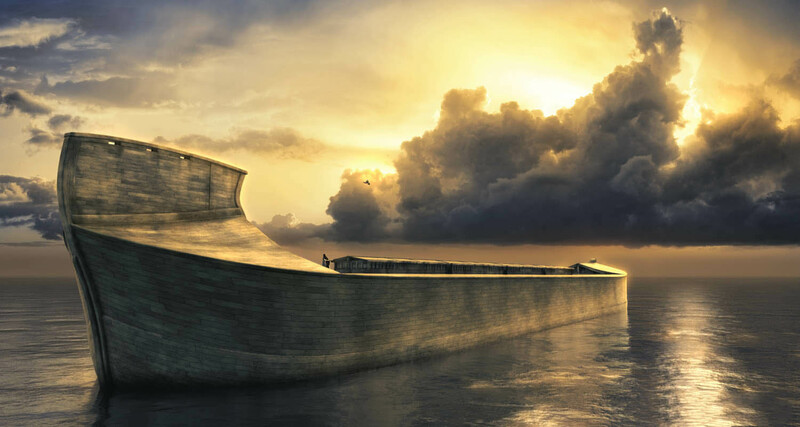 In the bible, Noah’s Ark is the vessel in the Genesis flood narrative by which God spares Noah, his family, and a remnant of all the world’s animals from the flood. For centuries, explorers, archaeologists, and Biblical experts have searched for the elusive vessel, coming to believe it was nothing but a myth. However, a team of ‘evangelical Christian’ explorers firmly believes they’ve found evidence of Noah’s Ark beneath snow and volcanic debris at Mount Ararat in Turnkey, precisely where the bible said it would be. “I don’t know of any expedition that ever went looking for the ark and didn’t find it,” said Paul Zimansky, an archaeologist specializing in the Middle East at Stony Brook University in New York State. According to Noah’s Ark Ministries International, a documentary team based in Hong Kong, they’ve recovered wooden pieces from a massive structure which according to initial carbon dating results, dates back around 4,800 years. The remains of the alleged Ark were found at around 13,000 feet above sea level. “It’s not 100 percent that it is Noah’s ark, but we think it is 99.9 percent that this is it,” Yeung Wing-cheung, a filmmaker accompanying the explorers, told The Daily Mail. According got reports, the team of explorers claims to have found in 2007 and 2008 seven large wooden compartments buried at 13,000 feet (4,000 meters) above sea level, near the peak of Mount Ararat. “The structure is partitioned into different spaces,” said Noah’s Ark Ministries International team member Man-fai Yuen in a statement. According to the team of explorers, this is evidence of Noah’s ark and the great flood. “I saw a structure built with plank-like timber. The group of explorers is firmly convinced that they’ve discovered wooden walls, doors. And staircases which made up Noah’s Ark some 4,800 years ago, which survived a cataclysmic global even know as the great flood. While many people doubt the Great Flood ever existed, the truth is that this ‘story’ goes back thousands of years. Many people are familiar with the Genesis Flood Narrative which is written down in chapters 6–9 in the Book of Genesis, in the Bible. However, the truth is that the great flood is mentioned earlier in totally different texts. The legend of the flood–better said the narrative—recounts the God’s intent to bring Earth back to its pre-creation state. The flood was sent upon Earth as means to ‘reset’ it. God sends the flood because of humanity’s misdeeds and then remake’s it using the microcosm of Noah’s ark. The flood is considered a reversal of creation. To get the entire picture, the ‘Great Flood’ is present in nearly all cultures around the globe: Mesopotamian flood stories, Deucalion in Greek mythology, the Genesis flood narrative, the Hindu texts from India, Bergelmir in Norse Mythology, and in the lore of the K’iche’ and Maya peoples in Mesoamerica, the Lac Courte Oreilles Ojibwa tribe of Native Americans in North America, the Muisca, and Cañari Confederation, in South America. But what people are unaware of is the fact that the OLDEST and most ancient story of the Great Deluge originated in ancient Sumeria. According to ancient inscriptions, it was ‘Eridu,’ –modern day Abu Shahrein, Iraq– where the gods created the first city on the planet. Eridu was home to the ancient Sumerian God Enki, who erected the city in 5400 BC. However, while the Hong-Kong based team believes they’ve really found Noah’s Ark, Biblical experts disagree. “The whole notion is odd, because the Bible tells you the ark landed somewhere in Urartu,”—an ancient kingdom in eastern Turkey—”but it’s only later that people identified Mount Ararat with Urartu,” said Jack Sasson, a professor of Jewish and biblical studies at Vanderbilt University in Tennessee. Stony Brook’s Zimansky agreed. “Nobody associated that mountain with the ark” until the tenth century B.C., he said, adding that there’s no geologic evidence for a mass flood in Turkey around 4,000 years ago. The Noah’s Ark Ministries International explorers are “playing in a very different ballpark than the rest of us,” Zimansky said. “They’re playing without any concern for” the archaeological, historical, and geological records. Reference: Noah’s Ark Found in Turkey? The expedition team is “99.9 percent” sure. Others, well, aren’t.